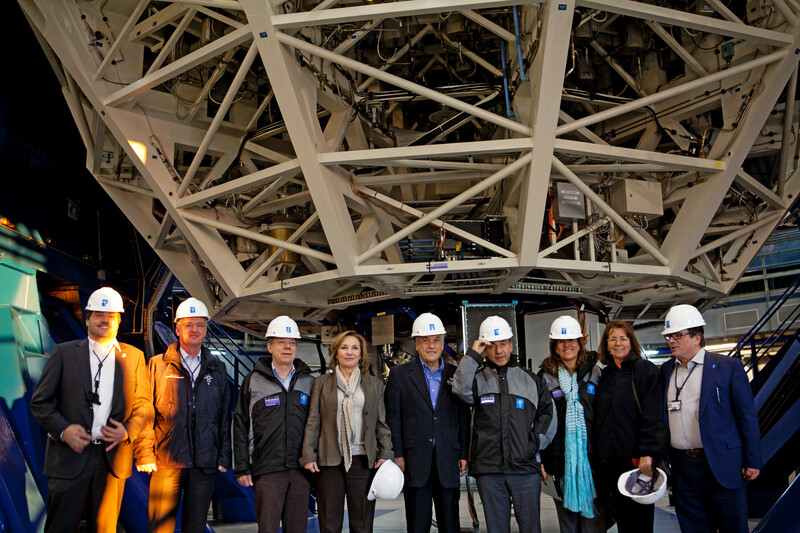 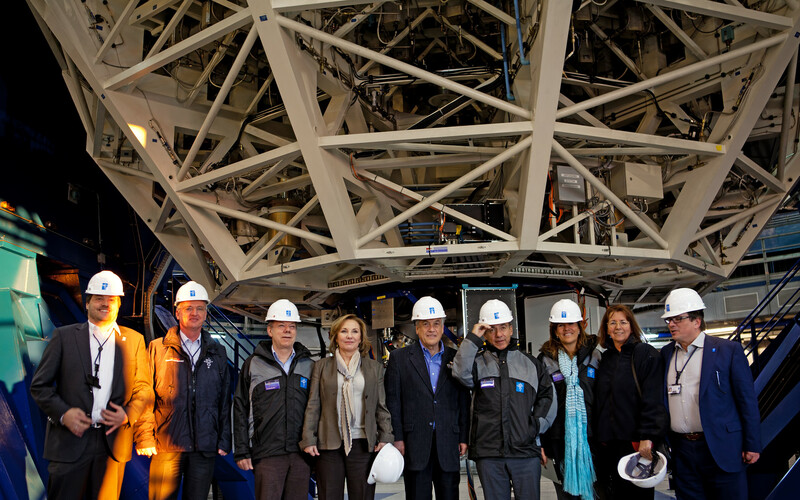 The Presidents of Chile, Colombia, and Mexico with representatives of ESO inside the Very Large Telescope’s Unit Telescope 2 (Kueyen) on Cerro Paranal, seeing first hand the state-of-the-art telescopes and technology of ESO’s flagship site. 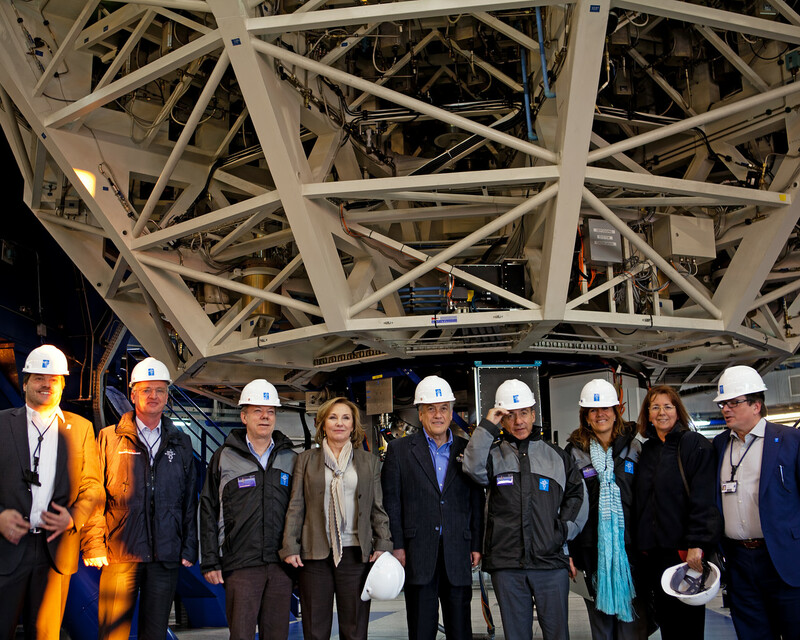 The Presidents, as well as the President of Peru, were at the Paranal Observatory for the fourth Summit of the Pacific Alliance, at which the Alliance’s Framework Agreement was ratified, on 6 June 2012. 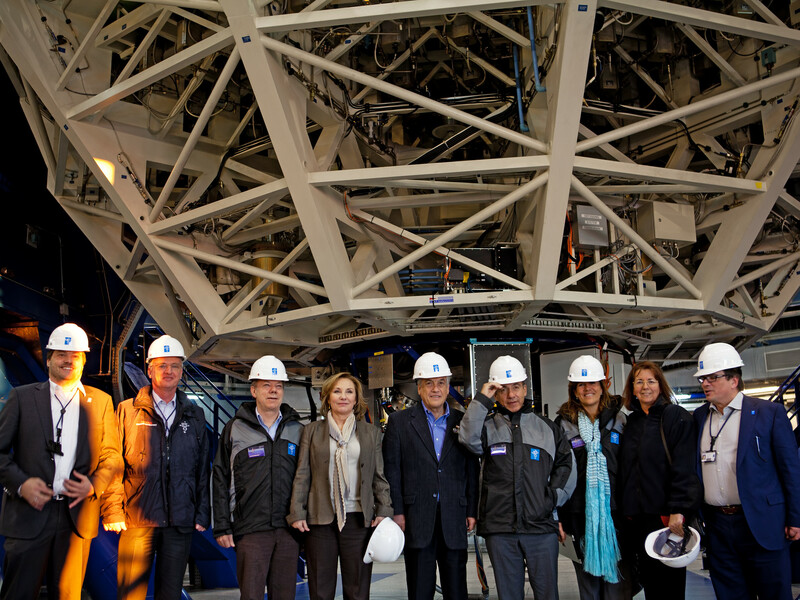 In this photograph are (from left to right): Andreas Kaufer, Director of the Observatory; Tim de Zeeuw, the Director General of ESO; President Juan Manuel Santos of Colombia; President Sebastián Piñera's wife, Cecilia Morel; President Sebastián Piñera of Chile; President Felipe Calderón of Mexico; President Felipe Calderón's wife, Margarita Zavala; Chilean astronomer María Teresa Ruiz; and Xavier Barcons, President of the ESO Council.